I remember the moment I got the call. I was just 23 years old and already in a position way over my head. I was working as an Aquatics Director for a brand-new YMCA, and it was the fastest-growing center in the country. I worked 80 and 90 hours every week just trying to keep up with the demand. I was in the middle of a completely chaotic day. Swim lessons and swim team were going on in the pool, and I was also trying to find a sub for a lifeguard that had called in sick. I had several people lined up in my office and a mosaic of about 30 brightly colored sticky notes scattered on my desk when the phone rang. It was the day of our mandatory Annual Aquatics Safety Training—a very important training that I completely forgot about. It was my responsibility to make sure that every single one of my staff members attended at least one of the two session options that day—at 9:00 a.m. or 2:00 p.m. It was 9:05, the training was 45 minutes away, and I didn’t have a single person there. 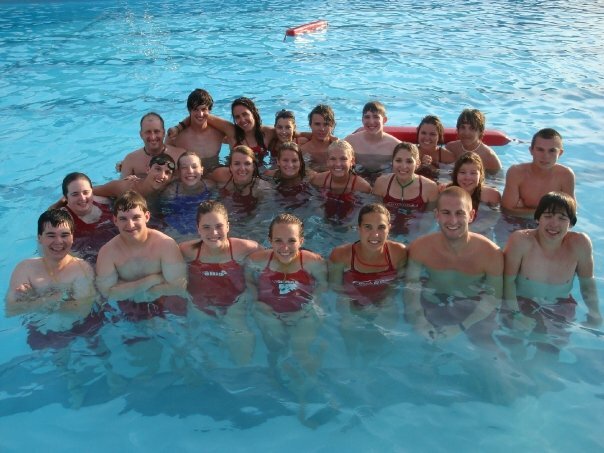 I had to have some staff to run the pool during the afternoon session, and I hadn’t told a single person on my team about this training, and wrangling teenagers is worse than herding cats. I knew that this was very bad. I told Zack that I would take care of it and got off the phone as quickly as possible. I didn’t have time to think, so I did the first thing that came to my mind. I speed walked down the hall to the Executive Director’s office and opened the door. She responded completely calm and asked me what happened. I explained the situation and then told her my plan to get as many people to the afternoon session as possible. After a lot of phone calls and frantic scrambling, I got it all worked out, and almost 100% of my team was present for the 2:00 training session. While I screwed up big time by completely forgetting about this huge responsibility, I know for a fact that coming out of that scenario, I actually had more respect from my leaders than before because of how I handled it. When you make mistakes—because you will and I will again—the very best things you can do are exactly what I (amazingly and intuitively) did when I was 23. 1. Own it. Most people’s natural reaction under stress is to blame others or make excuses. By owning it, you are doing the opposite of what most people do while demonstrating maturity, integrity and self-awareness. In the process, you’re also building trust. 2. Apologize for it. Apologizing shows that you’re coachable. It demonstrates humility instead of defensiveness, which makes others want to work with you more. 3. Fix it. Don’t just come to your leader with the problem you’ve created—come with the problem and the solution. Even if you don’t have the perfect answer, at least come with ideas to start working toward a solution. This shows that you are a proactive problem-solver that takes initiative. I learned about leadership through that mistake I made early in my career, and I’ve handled every other mistake since then in the exact same way. And trust me, there’ve been a lot of mess-ups! You can do the same thing. When you take ownership for your mistakes, apologize for them, and fix them, you not only take care of the issue in a professional and positive way, but you also build trust with everyone in the process. If you do this, you can take your slipups you’re ashamed of and turn them into opportunities that you shine in. Yes! As an elementary principal and special education director last year, I dropped the ball on several occasions. I would simply own up to my mistake, and people seemed more forgiving that way. I can’t imagine if I spent more time and energy trying to blame others. I owned it, and then we worked together to fix my “oops”. Great post! I’m heading off to share it right now. Thanks! Thank you for your honesty! Always inspiring…keep it up! I feel that I should own a mistake. Very convicting. Thank you Christy! I love this advice. Thank you for always giving your personal experiences to guide your readers.